Is your credit score lower than you’d like it to be? Many people find themselves in the same situation, sometimes in spite of doing things that they think will help their score. Having good credit is almost an essential element of everyday life, and yet there’s a surprisingly small amount of information available to help you keep your score high. Luckily, we have a list of five easy actions you can take right now to begin improving your credit score. Before you take these steps, however, it’s important to have a road map – and by that we mean you should probably get a copy of your credit score so you know where you stand. Without it, some of these tips would just be a stab in the dark! If any of these things are present on your credit report, take immediate steps to get them removed. 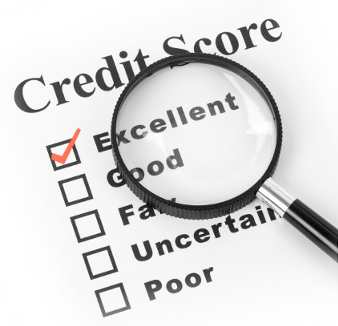 It can be hard enough to keep your credit in good standing without inaccurate reporting working against you. Many people think that if you’ve never used credit before, you must have good credit. This couldn’t be further from the truth! The fact is, without any kind of credit history, you’re as much of a risk for lenders as someone with a history of bad credit. Your credit score is an overview of how you’ve used credit in the past, so if you’re avoiding credit in the hopes that you’ll be in good standing when you need it, it’s time to change your way of thinking. Get a few credit cards and charge things that you can easily pay off. By doing this, you’ll be building a solid foundation for your future credit. This seems like an easy blanket solution, but the truth of this tip may be something you’re not aware of. Just because you have $50,000 of available credit doesn’t mean your debt needs to be sitting at $49,995. In fact, the optimal amount of debt you should have at any given time is no more than 30% of your total credit limit. That means that if your card has a $1000 limit, you should stop charging things before you pass $300. If you’re over the 30% mark, take immediate steps to get under it, and do your best to stay there. One easy trick to benefit from someone else’s good credit is to get added as an authorized user on that person’s account. In this way, you get to reap the benefits of their credit score and begin to improve your own. Be careful who you do this with, however, because if their account lapses into bad standing, your score will go down right next to theirs. Also, make sure that your authorized user status is being reported to the major credit bureaus, or this trick won’t have any effect. If you have bad credit, your initial reaction might be to stop using it for a while. Wrong answer! It may seem counter-intuitive, but the best way to proceed from this point is to use credit responsibly and consistently. Cutting off credit altogether only shows the credit bureaus that you’ve given up. Beginning to use your credit responsibly shows them that you’ve changed.